Contact ReInhabit at reinhabitoffice@gmail.com for open house reservations. STRUKTR is excited to announce boutique real estate development firm, ReInhabit's, exclusive Historic Open House of the 1933 "Arthur K. Bourne Residence" in Palm Springs, designed by Wallace Neff. The first-look, listed by KCRW's DnA as one of their 5 Design Things To Do This Week, takes place on Saturday June 11, 2016, from 5pm-9pm. Visitors will get an exclusive pre-renovation, tour of the property, designed by renowned Southern California architect Wallace Neff and currently undergoing careful restoration. The 9,500 square foot home, originally built for Bourne who was heir to a Singer sewing machine fortune, is designed in Neff’s classic “California Style” and features ten bedrooms and eleven bathrooms surrounding a swimming pool. 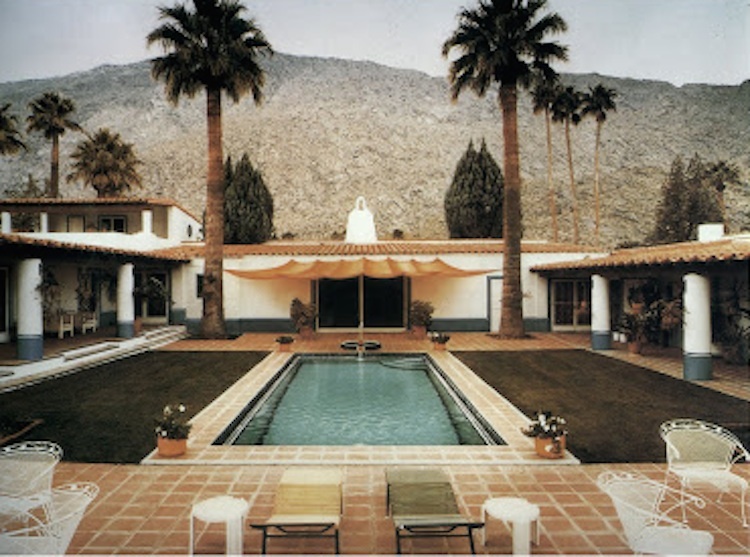 Architectural historian and author Steve Vaught observes that the Bourne Residence “represents the start of Palm Springs becoming a famous international resort. It was because of houses like this." The home features a prelude to the Modern Architecture that would shortly become synonymous with Palm Springs: a wall of sliding glass doors out to the picturesque courtyard transforms the living room into an indoor-outdoor living space. “That was a very modern and very innovative feature at the time. You just don't see that in 1933," says Vaught. Neff previously designed a home for Bourne in the Los Angeles suburb of San Marino in 1925. ReInhabit purchased the Bourne Residence in March 2016. The home had fallen into disrepair, and had come to be known as the “Grey Gardens” of Palm Springs. Restoration work has removed over 90,000 pounds of debris, including 7,500 sq. ft. of green carpet. 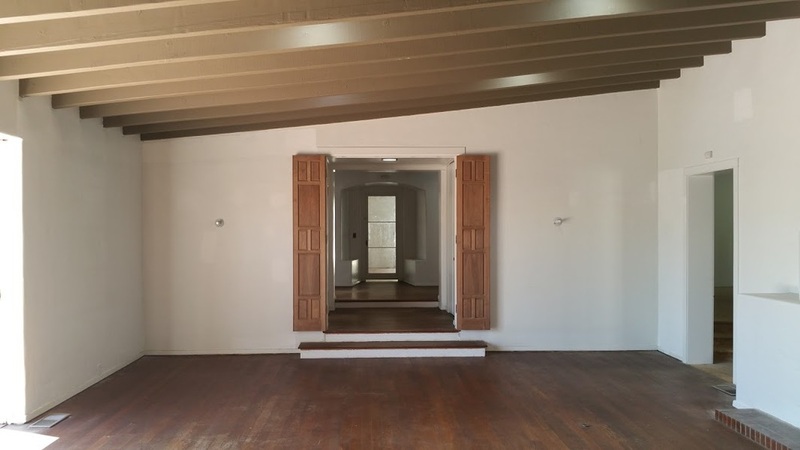 Brett Waterman, a local Palm Springs preservationist, has been amazed to witness the uncovering of the home’s original details. “There’s so much completely intact -- all the original tile is there, original fixtures, the hardware.” Other original features highlighted in the restoration include the home’s hardwood floors, fireplaces, spindle-turned Spanish doors, and a river rock wall surrounding the property. “ReInhabit is revealing the architectural qualities that still exist within the property that reflect what Neff originally envisioned,” says Waterman.